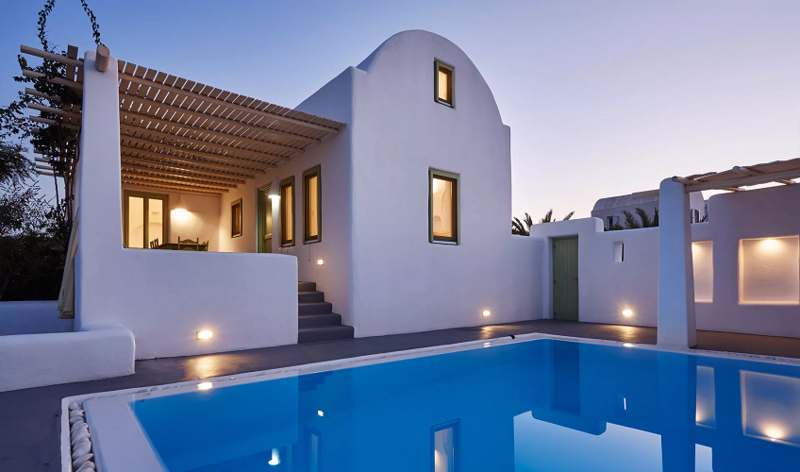 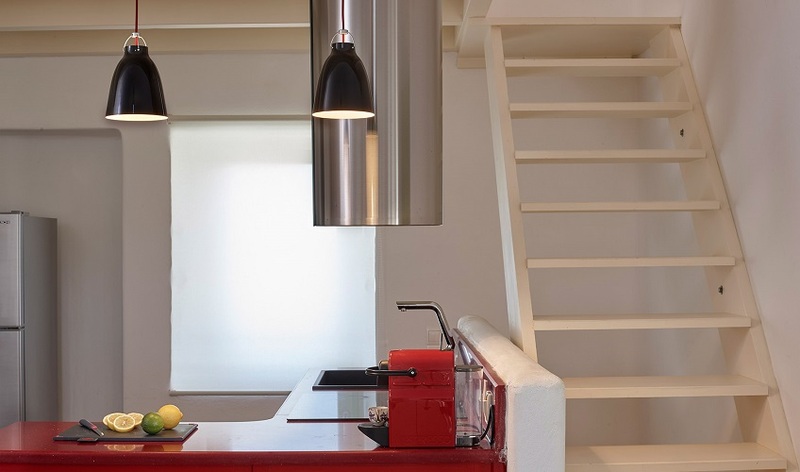 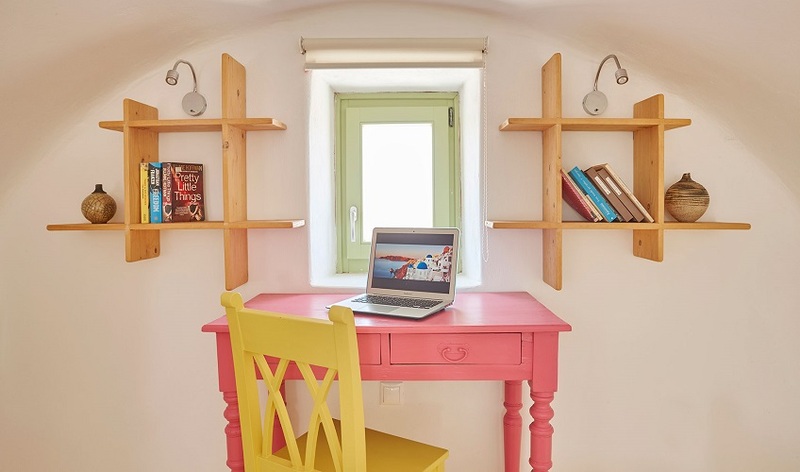 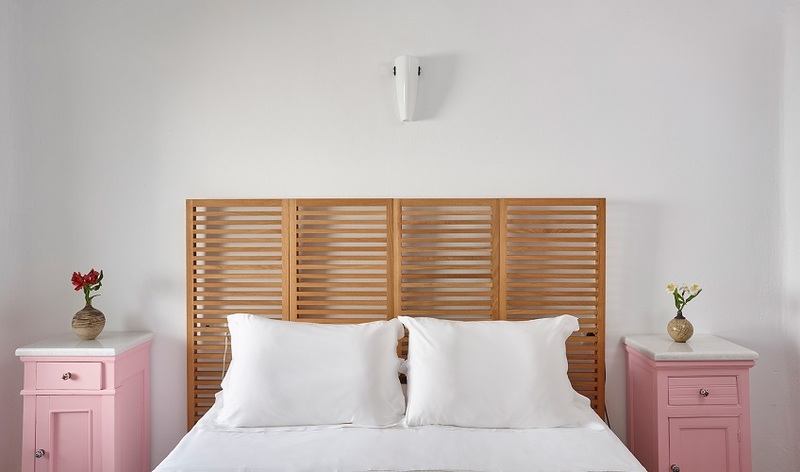 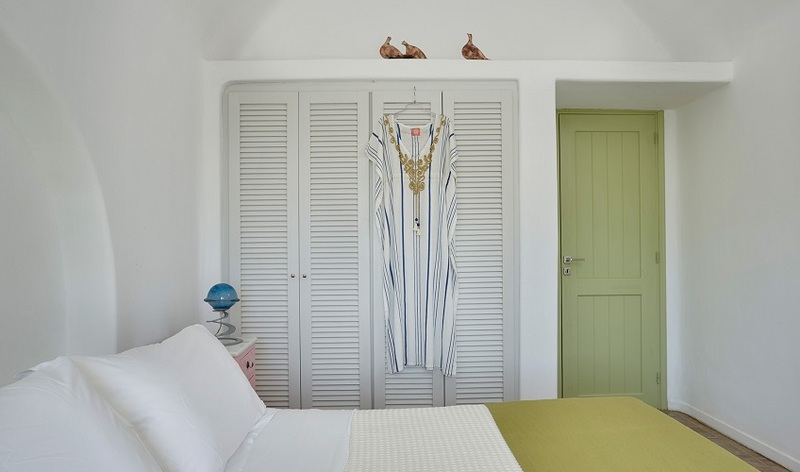 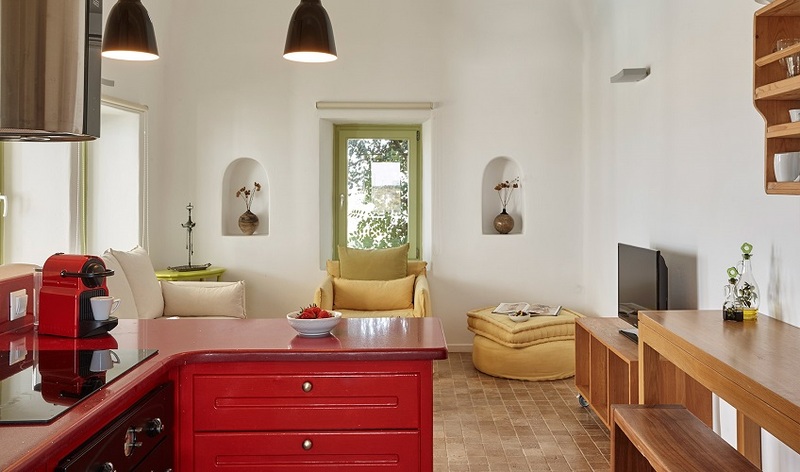 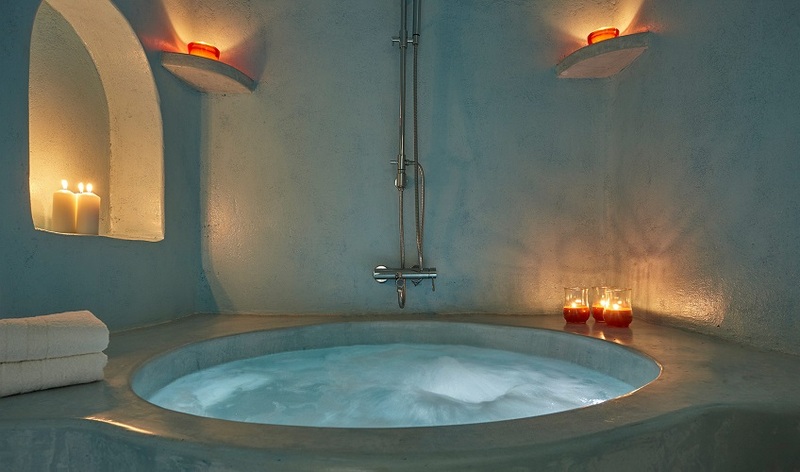 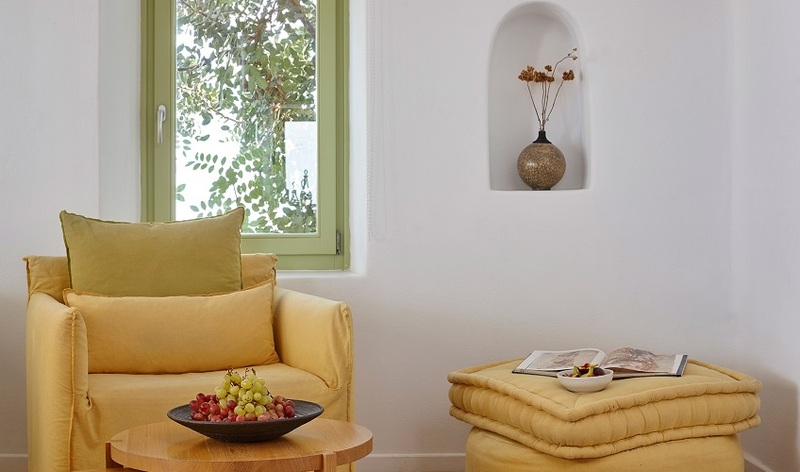 Redefining the concept of hip-chic, these newly built private villas in the outskirts of Oia Santorini, enamor guests with their stylish yet comfortable interiors that brilliantly combine modern comfort with Cycladic architectural tradition. 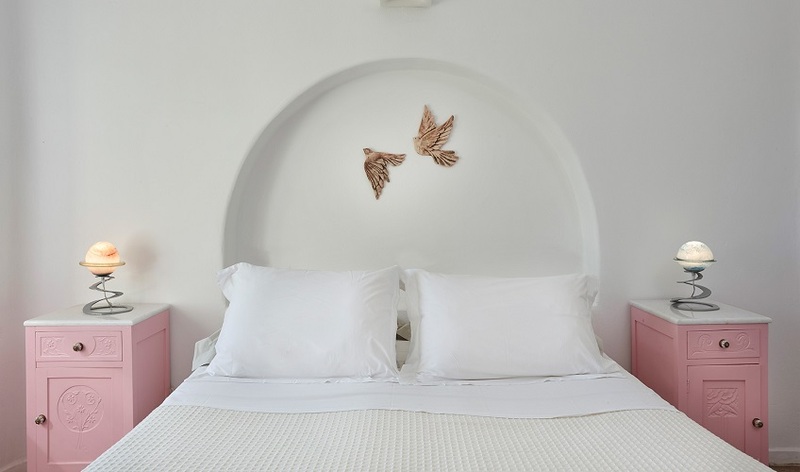 Contemporary decor and upscale facilities ensure a quiet stay for travelers seeking for a private villa offering a cozy, home-like environment. 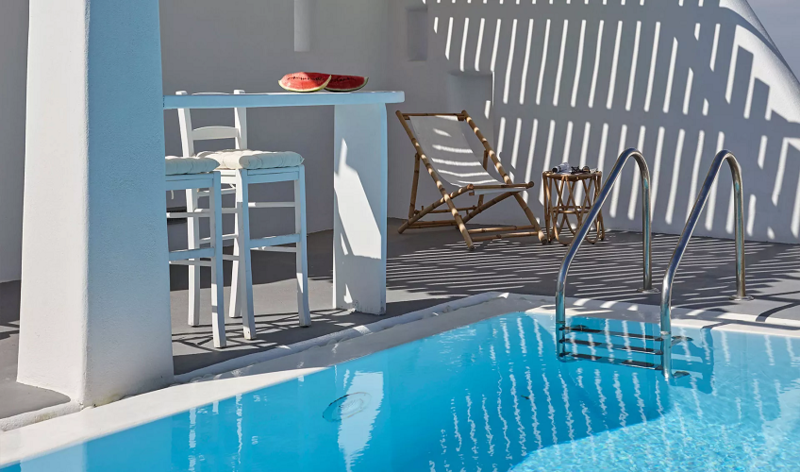 Privileged guests are welcome to surrender to the blissful environs, enjoy a reviving hydro-massage in their spa bath, bask in the sun on the sun loungers by the pool and fully unwind with a swim in the tranquil waters of their private pool. 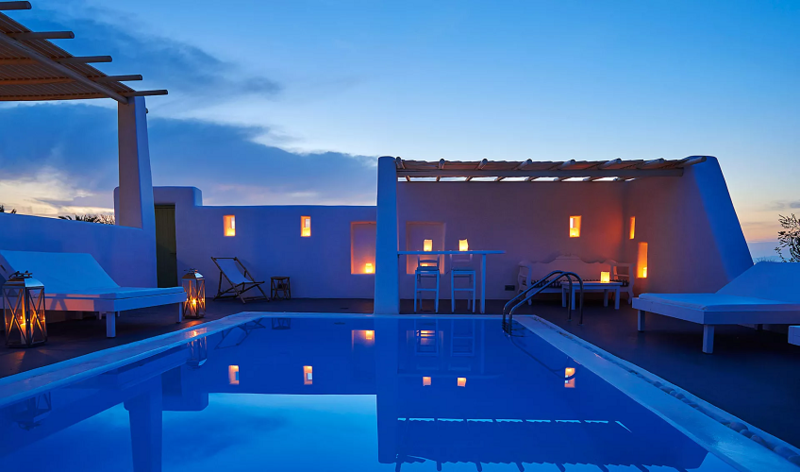 Beautifully positioned in a peaceful setting surrounded by gardens, yet only 10 km away from the capital of Fira and 18 km from Santorini's International Airport, Agrikoia Villas give travelers the opportunity to completely relax in an environment of pure bliss, away from the crowds while still being close to several restaurants, cafe bars and mini markets.